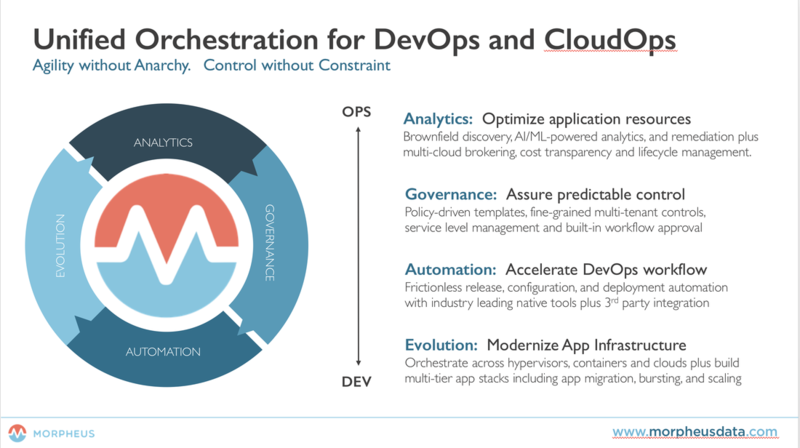 Hybrid and multi-cloud orchestration platform with app deployment templating and DevOps integrations (Jenkins, GitHub, Config. Mgmt). Infrastructure agnostic focus on hybrid app deployments, day 2 operations, and cloud cost optimization. Control bare metal, hyperconverged infrastructure, hypervisors, containers, and microservices.